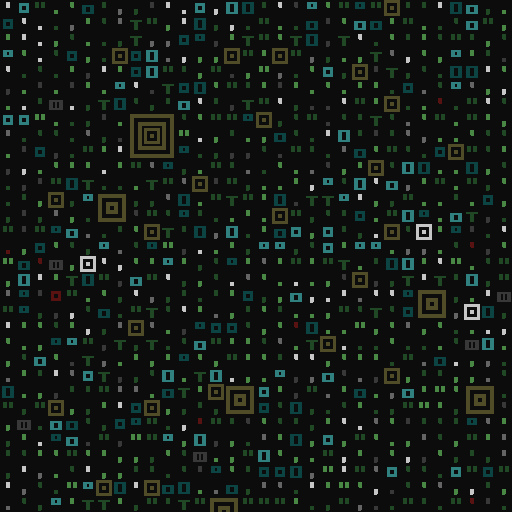 This is where I am at on my Dwarf Fortress tileset.  I felt slowly coaxed into making a nice clean, ASCII tileset that could not only be used for dwarf fortress but for other RogueLike projects. I'd love to see what others can do with this and I hope that others enjoy using and creating with it as much as I have. 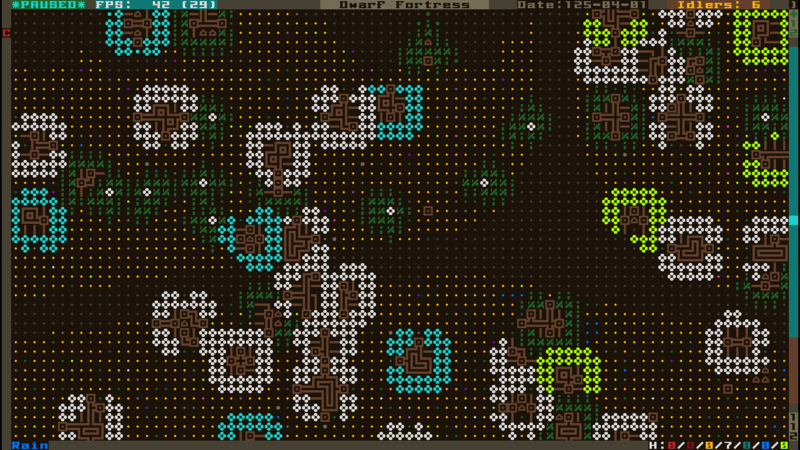 Another tileset from Rogue Yun, hurray! Can we have some screenshots please? 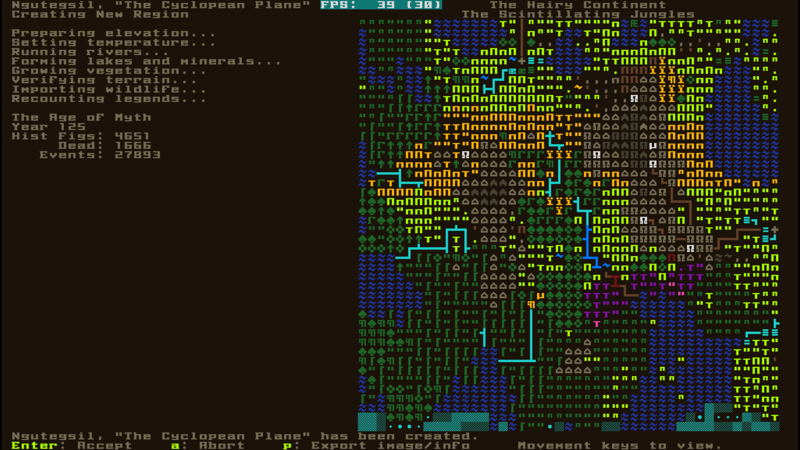 I'm really not very good at awesome fortress designs or taking striking photographs/screenshots... But here are some examples as requested. I used Vherid's Natural color scheme. I think it looks nice though I don't use it often myself. 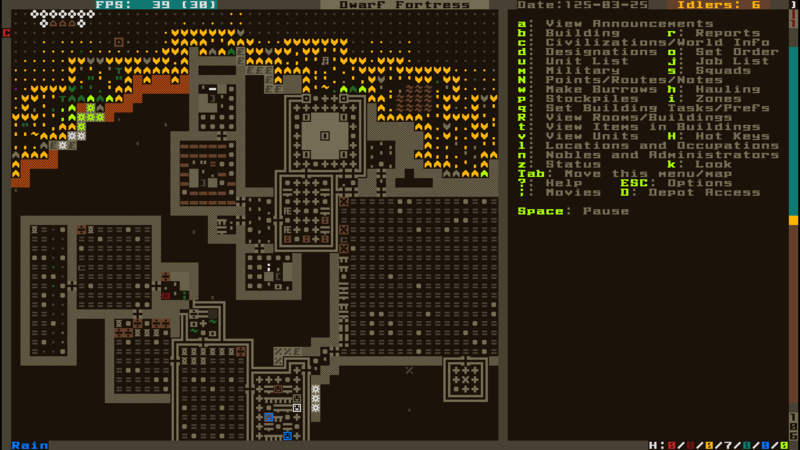 Updated Tileset and the First Post. - Changed some tiles (degree symbol, well, natural hives, inner trunk) so that they would be more consistent and less of an eye sore. - Fixed a mistake where I swapped two letters. - Fixed spacing of tremas to be more consistent. - Broadened the superscript n.